Home / Camera Buying Guide / Fujifilm X-T20 vs. XT2, what’s the difference? First announced in January 2017, and available since March, the Fuji X-T20 is Fujifilm’s latest APS-C hybrid. It completes the X line of products which also includes the X-T2 and the X-Pro2 and it replaces the Fuji X-T10 which was released in June 2015. 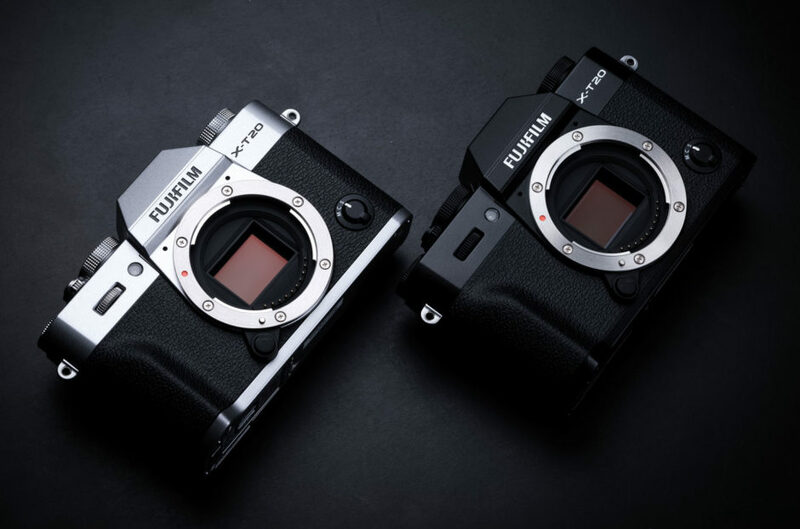 This new release serves as a good opportunity for us to revisit the strategy behind Fujifilm’s line of products. What is the difference between the X-T20 and the X-T2 – from which it has borrowed many of its technical characteristics? The X-T20, a mini X-T2? Without yet having been able to test the X-T20, we can already say that its case makes it seem like a small version of its larger brother – the X-T2, just as the X-T10 was to the X-T1. It reuses the same sensor: the APS-C X-Trans III with a 24,3 Mpx resolution – with no low-pass filter, accompanied by the latest image processor – the X Pro. Moreover, this is the processor used in the X-Pro2 and the new X100F. 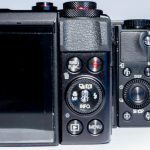 Fuji has harmonized its whole X product line by using the same image processor in all of its models: the X100F, the Xpro2, the X-T20 and the X-T2. By doing so, a photographer, going from one model to another, will always end up with the same image. This might seem like an insignificant detail, but for a photographer who uses several devices, knowing that the image will always be the same is a real advantage. The same sensor and the same processor, means the same light sensitivity: from 200 to 12800 ISO, or an extended range of between 100 to ISO 51200. The X-T20 also reuses the X-T2’s new hybrid autofocus system with 91 AF zones (and up to 325 AF points) which means that the focusing and tracking performance characteristics of both devices are identical. In manual mode, the Manual Focus Digital Split Image assistant helps with focusing, reproducing the same focusing guides as on the focusing screen of film cameras. Sensor, processor, and autofocus are all three shared by both the X-T2 and the X-T20, allowing the X-T20 to have the same performance characteristics and image quality as its big brother (X-T2), and at a lower price. Since the X-T2 and the X-T20 resemble each other very closely in terms of technical specifications, what is the actual difference between them? The differences appear at the level ergonomics, but also at the level of advanced functionality. The ergonomics of the X-T20 was designed for a wider audience of users, most notably by the inclusion of an adjustable wheel for accessing the camera’s different creative modes, whereas the X-T2 only has a 100% manual mode (the A, P and S modes are accessible via the lens’ rings). This distinction makes the X-T20 more user friendly. At the rear of the device, both cameras are very similar. The X-T20 has a 3 inch touchscreen which tilts along 2 axes (the X-T2’s display tilts along 3 axes, but it is not a touchscreen). The 0.62x electronic viewfinder is a little smaller than the one on the X-T2, but it still allows for a fast and comfortable focusing experience. If you are a high-speed performance fan, you should know that the X-T20 has a maximum mechanical shutter speed of 1/4000s whereas the X-T2 goes all the way up to 1/8000s. Nevertheless, these two devices have a digital shutter capable of reaching speeds of up to 1/32000s, with the limitations associated with this type of shutter. For studio camera work, the X-T20 offers a flash which synchronizes up to 1/180s whereas the flash on the X-T2 can synchronize up to 1/250s. The X-T20, far from being useless in the studio, has the advantage of an external flash mount in addition to the built-in flash, allowing users to attach a Cobra flash if they so desire. In terms of memory, the X-T20 is limited to a single SD UHS-I slot whereas the X-T2 has a double SD UHS-II slot. The device, when connected to a WiFi signal, can be controlled through the Fujifilm Cam Remote application which allows for the direct transfer of images from the device to a mobile phone or tablet. 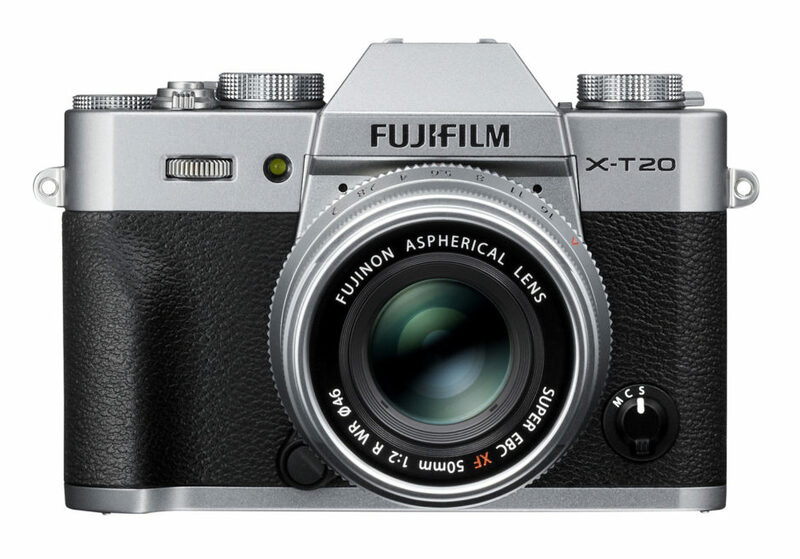 Weighing in at only 333 grams – not including the battery, the Fujifilm X-T20 is a very light-weight device which has inherited the powerful features of its bigger brother, the X-T2 – which is 120 grams heavier. An extra weight justified by its magnesium construction and water resistance treatment, something which is lacking on the X-T20. Both cameras use the NP-W126 battery which is now being used on a large portion of the Fuji X line of cameras, and which allows the user to take around 350 photos without the need to change batteries. The X-T2 and its external grip allow the user to extend battery life to 1000 photos. This grip also allows access to the X-T2’s Boost mode, which allows the user to go from 8 to 11 images per second when using the mechanical shutter and which greatly improves the performance of the autofocus as well as increasing the EVF’s refresh rate from 60 FPS to 100 FPS. 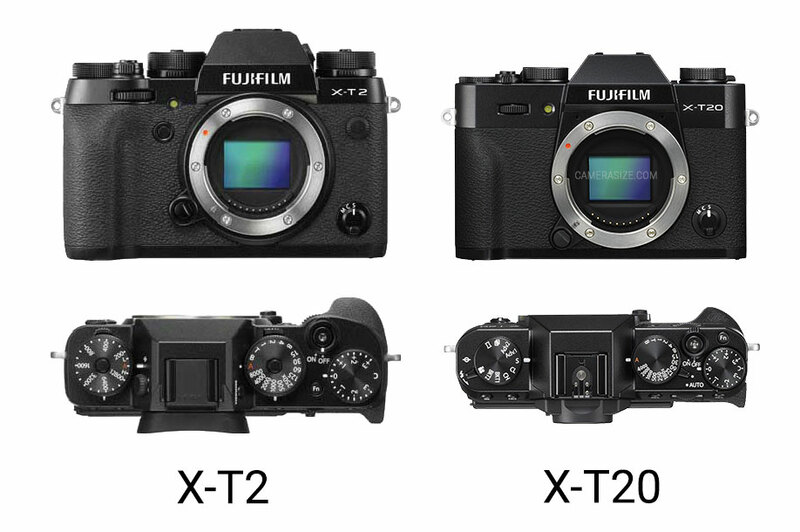 We could continue our comparison along several other lines, but you will have understood by now that the Fuji X-T2 and the X-T20, while similar, are not intended for the same audience of users. 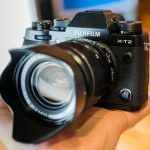 Whereas the X-T20 is playing the card of simplicity, compactness and lightness while still taking advantage of all of the latest advances developed by Fuji, the X-T2 is betting on its robustness, its advanced options and improved performance characteristics (especially in Boost mode with the addition of the external grip). The X-T20 has been designed for photographers wishing to take leisure photos without any limitations, while the X-T2 was conceived for professional or advanced amateur photographers who wish to get the most out of their camera. But, let’s not forget the essential thing here: these two devices, which haven’t even been tested by Thedigitalcamera yet, look to be excellent tools for capturing any kind of photo you like. You will probably have realized by now that the X-T20 is a middle of the line device designed for amateur photographers who are looking for a powerful device which will allow them to transition towards more advance photography later down the line. It has the same image quality as the X-T2, but in a more compact and discrete format. And you shouldn’t forget that the X-T20, like all of Fuji’s mirror-less devices, can take advantage of a growing selection of lenses – as can be seen in the latest Fujinon lens roadmap. And then there’s the price; the Fuji X-T20 is much more affordable than the X-T2, with the basic device selling for around 899$ or 999$ in the 16-50mm II lens kit, whereas the basic X-T2 device is sold for around 1599$. If you are interested in a lens with superior optical quality, you might want to consider the 18-55mm f/2.8-4 lens kit, available for 1199$. Previous Sony RX100 IV vs. RX100 V: what’s the difference?